I just LOVE when I get to see my wedding clients start a family. I have had the pleasure of photographing Kelly and Jason since their chilly engagement session in the snow back in January of 2014. 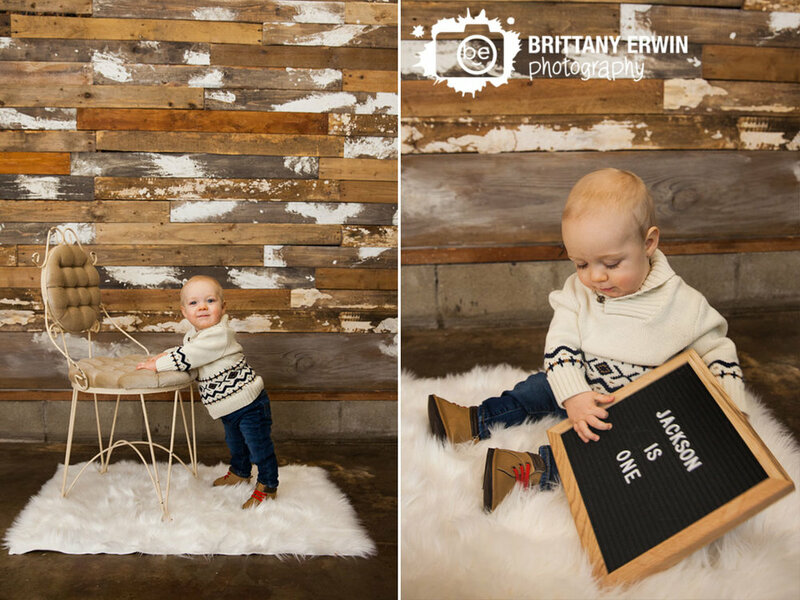 Last winter they welcomed little Jackson into their family and we did an in home newborn session with some fun Christmas props. This year, for his first birthday, we did some family portraits here in the studio with the same fun Christmas-y feel and a cake smash! Jackson wasn't incredibly excited for the cake smash but he sure loved the balloons his parents brought for him to take a little balloon ride and his new Happy Birthday rubber ducky.